Equibase Analysis: Upset Potential In The Commonwealth Turf Stakes? The Grade 3, $100,000 Commonwealth Turf Stakes showcases seven horses in one of the last graded stakes races of the year restricted to 3-year-olds. Hot Springs just won the Jefferson Cup Stakes on the course in his most recent race in September so is most likely to be favored, but March to the Arch drops in class off a fourth place finish against ostensibly tougher horses in the Grade 2 Hill Prince Stakes so may be perceived to have a class edge. 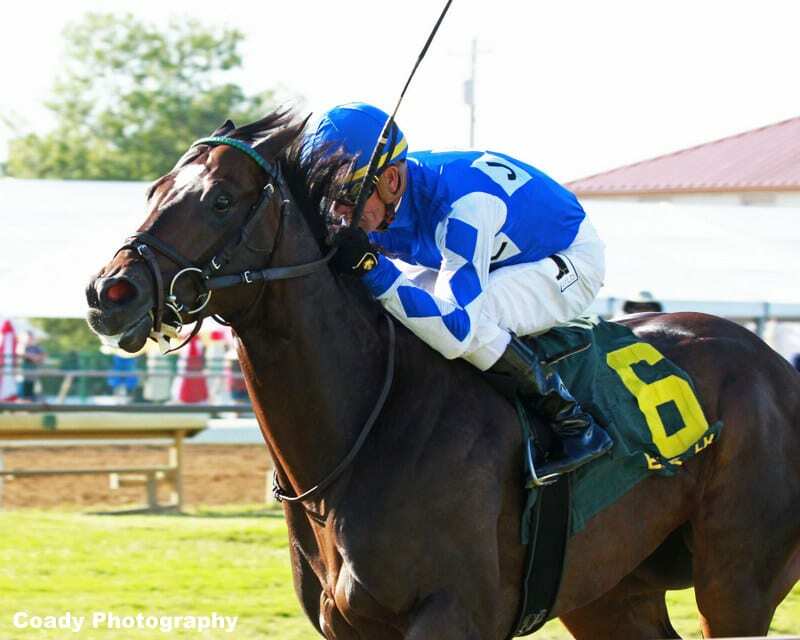 Sniper Kitten won the Mystic Lake Derby in June, a similar non-graded stakes, but has finished 10th and sixth in two races since and appears off form. Marzo returned from nine months away from the races in September with a win on turf and hasn't run badly since, with third and fourth place efforts although this will be his first try in a stakes race. Reride may be best known for winning the Mine That Bird Derby on dirt in January. Following an eighth place effort in the Dueling Grounds Derby, he returned to competitive form with a runner-up effort last month and may be capable of a second competitive effort in a row. Two other horses – Year of the Kitten and Zero Gravity, look overmatched at this level, with Year of the Kitten stepping into the stakes ranks off five claiming races and only having won one of those, while Zero Gravity earned his first career win in June in his ninth career start and was a badly beaten ninth in September's Dueling Grounds Derby in his only previous stakes try. I'll take a shot with Marzo in a race in which three horses stick out above the rest in terms of their combined chances to win. Marzo cost $1 million at auction in 2016 but after two very poor efforts to start his career in September and November, 2017, in which he was beaten a total of 30 lengths, he was given time off. Before being returned to the races this past September, Marzo was gelded then sold at auction for a paltry $35,000, but in his first start back he ran the best race of his life by far to duel head-and-head for the lead for the first seven furlongs before drawing off to win. That effort came in his first turf start. Marzo followed that up with a third place finish one month later, beaten a nose for the runner-up spot to improve to a career-best 90 Equibase Speed Figure. Next entered in a race nine days ago which was scheduled to be run on turf, Marzo remained in the field even though the race was moved to dirt and over a sloppy track he set the pace in front for the first mile before tiring to fourth. Facing 3-year-olds only after three straight races against older horses and back on the turf for the Commonwealth¸ Marzo gets a change in jockey to Albin Jimenez, a rising star with nearly 100 wins in close to 600 races this year. The biggest of those wins came last month when Jimenez guided Knicks Go to the 70 to 1 upset in the Claiborne Breeders' Futurity. Knicks Go, who returned last weekend to finish second in the Breeders' Cup Juvenile, is trained by Ben Colebrook, who will saddle Marzo for the Commonwealth Turf Stakes. As such, Marzo may be in line to post the upset win. March to the Arch has run well in all three races since returning off a short rest in July. First, he won the Toronto Cup Stakes in July with a career-best 102 figure. A little over one month later, March to the Arch missed second by a neck in the Saranac Stakes at Saratoga. Then, last month in the Hill Prince Stakes, he closed fast while wide to go from 10 lengths back with a quarter mile left to finish fourth, beaten a neck and a head for the runner-up spot. That race is turning out to be very productive, as winner Have At It returned last weekend to just miss in the Twilight Derby at Santa Anita. Likely to be sixth or seventh in the early stages of the Commonwealth, we can expect March to the Arch to be passing most if not all of the others in the stretch run which gives him a square shot to earn his second stakes win of the year. Hot Springs finished second in the Kent Stakes on the grass in July before finishing behind March to the Arch when fourth in the Saranac. Returning to the Churchill Downs turf at the end of September, Hot Springs won for the third time over the course in three races when victorious in the Jefferson Cup Stakes. His Jefferson Cup effort earned a 94 figure and that can be improved upon in his third start off a layoff. Considering Hot Springs earned a 99 figure winning on the Churchill Downs turf in June, it is very possible Hot Springs could run best of all to earn his second straight stakes win in this race. The rest of the Commonwealth Turf Stakes field, with their best representative E Figures is Reride (102), Sniper Kitten (105), Year of the Kitten (92) and Zero Gravity (103). This entry was posted in Horseplayers and tagged Commonwealth Turf Stakes, Ellis Starr, equibase, equibase analysis, Handicapping, horseplayers by Ellis Starr. Bookmark the permalink.